Apparently the U.S. military isn't big enough, and it needs to expand into space. 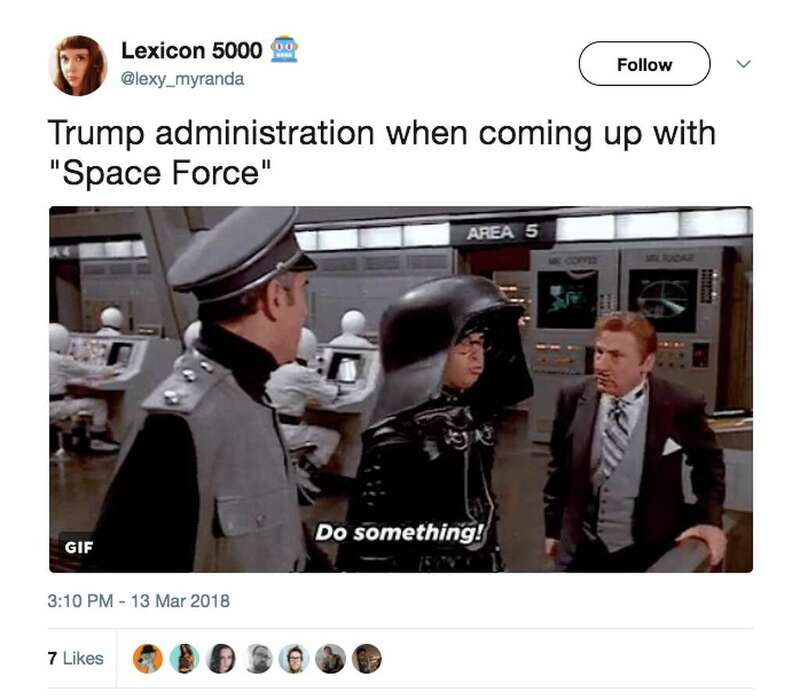 Space Force! Yes, you heard that right. A new branch of the military dedicated to the final frontier is not a novel idea – but it may now be gaining traction in Washington – thanks in part to President Donald Trump. Trump floated his idea for a theoretical new branch dubbed the "Space Force" while addressing an audience of service members Tuesday in San Diego, California. "Space is a war-fighting domain, just like the land, air, and sea," Trump said. "We have the Air Force, we'll have the space force." In June, the House Armed Services Committee proposed the establishment of a space corps, a new branch of the U.S. military that would fall under the command of the Air Force, in the National Defense Authorization Act, or NDAA. This latest military service would relate to the Air Force similar to how the Marine Corps serves the Department of the Navy. The space corps would have an area of responsibility that encompasses the vast expanse outside of the Earth's atmosphere. At the time, the White House, the Air Force and Secretary of Defense James Mattis disapproved of the idea to create a space corps. "I oppose the creation of a new military service and additional organizational layers at a time when we are focused on reducing overhead and integrating joint warfighting efforts," Mattis wrote in a letter to the House and Senate Armed Services Committees. While the legislation passed the House, the space corps bid did not make it into the final NDAA bill in November. "It's not clear how aware Trump might be about the work that had already been ongoing in Congress along these same lines," Todd Harrison, director of the Aerospace Security Project at the Center for Strategic and International Studies, told CNBC. 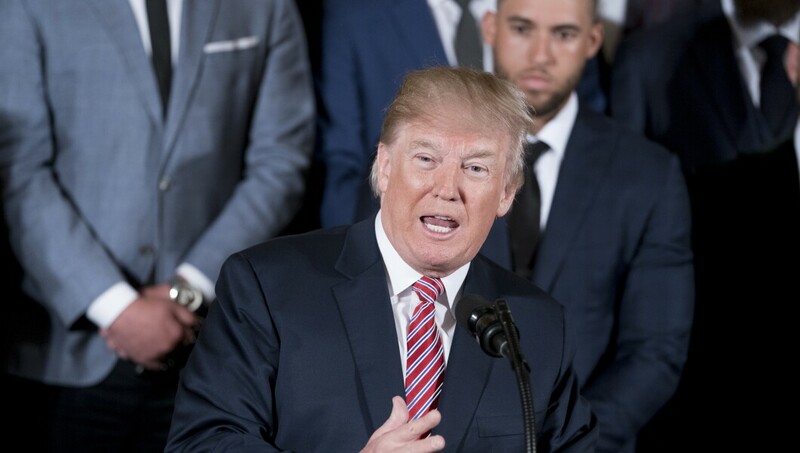 "It's also not clear if he even realized that his own administration or at least a part of his administration had come out against this proposal when it was being debated in Congress last year," Harrison added. And even though Trump didn't elaborate on what a U.S. space force would look like, experts say it's only a matter of time before a program of this magnitude begins to take shape. "Given what has happened in Congress last year and the president's more recent comments, the momentum is building and this will happen sooner rather than later," Harrison said. Air Force Lt. Gen. Steve Kwast told CNBC on Nov. 10 that the nation "could have an operational space force in three to five years." While he believes it is too early to think about a new military force in space, Kwast's forecast hits close to Harrison's, who think it will be "four to six years before" a space corps materializes. "It may end up being that there is enough resistance within the Pentagon and within the Air Force that they stall this for even longer," Harrison said. With the commercial space industry developing rapidly into a multi-trillion dollar market, Kwast warned existing efforts fall short of the capacity the country needs to defend national security interests beyond the Earth's atmosphere. "I think the balance between public and private is reasonable right now, but we're still not doing enough, and we're not that aggressive enough," Kwast said of the Air Force's efforts. Defense contractors, which often have space subdivisions working closely with military projects, could see manufacturing and services shift to continue fulfilling lucrative deals. Northrop Grumman and Raytheon, two of the country's largest defense contractors, declined CNBC's request for comment. Militaries will soon work more extensively in the space between the Earth and moon, according to Kwast. That realm is the next high ground, where nations are straining to gain a strategic advantage. "China is working on building a 'navy in space'" that would work even beyond Earth's gravity, Kwast said. But with countries and companies accelerating space work, to Harrison, means a space corps may be critical to protecting valuable assets, whether created now or several years in the future. "I think it's inevitable that at some point this domain will become a military service in its own right," Harrison added. As for what a U.S. "space force" and combat in outer space would look like, don't expect the stuff of science fiction adventure movies. It will probably look more like drone warfare. Harrison said that the systems would be mostly unmanned and operated remotely from the very ground level. "There are no and there never have been any manned military space systems," he said. "It's not like 'Star Wars,' you know, shooting at each other and lasers going bang and things blowing up. That's exactly what the U.S. military wants to avoid."